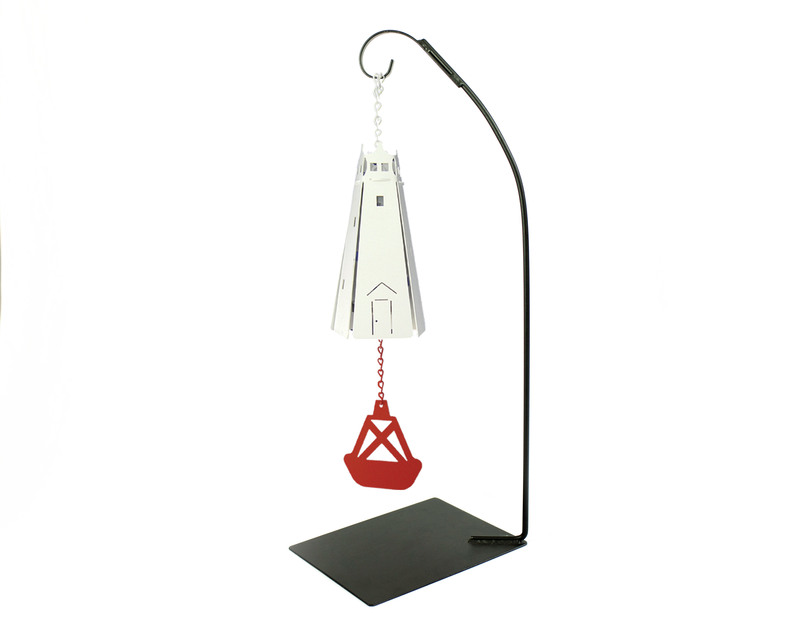 Original and Authentic wind bells in unique designs echoing the mystique of bell buoys! The largest of the five sided Lighthouse Bells, this bell has lovely mellow sounds echoing the 'Haunting Sounds and Magic Memories" of a nautical scene. Don't forget to personalize your bell with your choice of windcatcher! Click on play button to hear it.